Poet's Notes: I am a lover of toads. I embrace and lick them in my dreams. 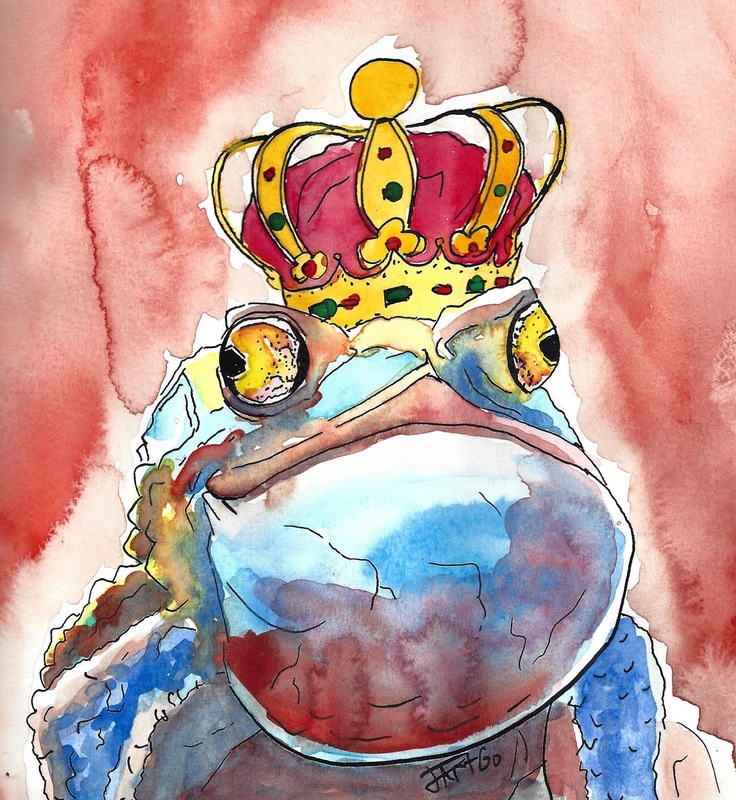 This poem is dedicated to every toad, from the toad in the road to the Toad on the throne. Editor’s Note: I toadally love this one! Artist's Note: This piece went a different direction than I expected, but I think that is appropriate for the subject matter. All glory to the Hypno Toad!